I t’s just one week before Navidad (Christmas Day) and from www.spanishviaskype.com we don’t only want to wish you Feliz Navidad y próspero año nuevo (Merry Christmas and a happy new year), but we’ll also try to mix our tradition and our language. Today, we’ll learn some expressions that have to do with Christmas. ¡Me ha tocado el gordo! 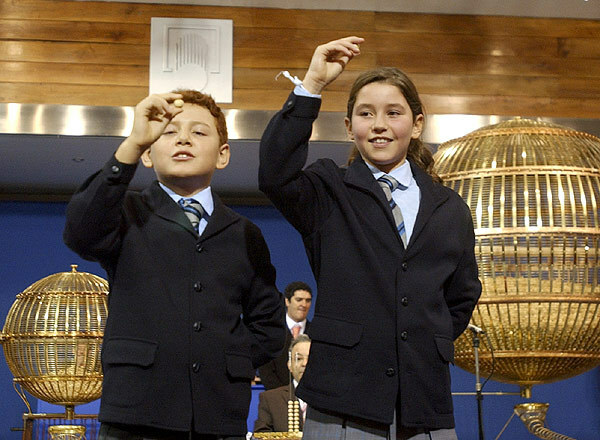 : On the 22nd of December, the Christmas National Lottery Draw is held every year in Spain. The first prize is called “El Gordo” (The fat one). But nowadays we use this expression when we succeed or we have a stroke of luck. ¡Nos van a dar las uvas! : if you are having dinner in Spain on the 31st of December, you’ll probably have to eat 12 grapes (uvas) for each last 12 second of the year. That’s the way we try to have good fortune in the upcoming year. But if someone tells you “nos van a dar las uvas” in other situation, that person means that you are late! ¡Te van a traer carbon! : Every single Spanish child is very happy on the 6th of January. That day Los Reyes Magos (The Three Wise Men) give presents for everybody… but everybody? Not really. If you’ve been a bad and naughty child, you will receive coal. Currently, we use this expression when you have made something wrong, and a bad reward is what you are going to get. ¡Se armó el Belén! : The portales de Belén (Grotto of Bethlehem) are very typical in every Spanish house at Christmas. They are small models of the stable where Jesus was born. We put the baby, their parents, animals, shepherds and other characters all together, and sometimes there are so many small pieces that you can’t even see Jesus. That mess is the main meaning of this expression. If a situation has gone crazy and it became a mess you can say: ¡Se armó el Belén! So, from www.spanishviaskype.com queremos que te toque el gordo but we don’t wish you que te traigan carbón. If you are going to celebrate this days with your family, try not to armar el Belén, and finally, we hope que no te den las uvas learning Spanish. Why don’t you try a Free Trial lesson with us? Now you can take advantage of our Christmas Special Offer.